“To Friar John Cor, by order of the King, to make aquavitae, VIII bolls of malt.” This was the first recorded reference pertaining to the spirit known today as Scotch, from 1494. King James IV sent this correspondence to the most prolific makers of the spirit at the time, the monks and friars, who introduced it to the very receptive King. One could say this endorsement was a spark among many others for the whisky of Scotland. One thing led to another, and now we find ourselves relaxing with a tumbler of Talisker before a gentle fire in silk robes. Good move, Your Majesty. 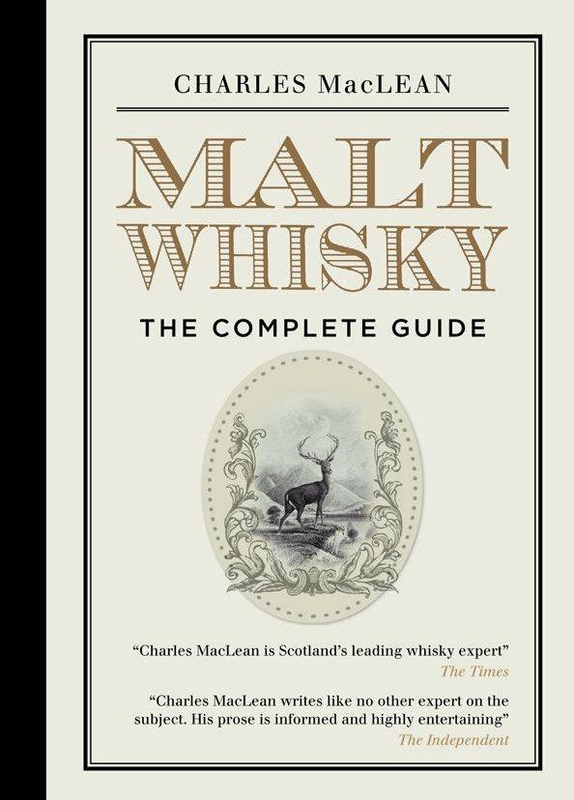 We come to “Malt Whisky, The Complete Guide” by Charles MacLean. MacLean is at this point in time on the top of the whisky world. He pretty much has nothing to prove to anyone, and it is at least expected of someone like him to publish a serious guide on Scotch whisky. And that is precisely what this book is: the big picture introduction to the big daddy of the spirit world. Dumb question: is it worth buying? Yes, if you must ask. Silly question, indeed. Rather than trying to convince you of merits, the author merely informs you of Scotch’s greatness. No persuasion needed, really. The book starts with a vigorous, detailed and scholarly overview of the history of distilled spirit, at least in how it relates to Scotch. Next, a fifty eight page explanation of the process of making malt whisky from malting to bottling is obligatory, but if there is one published account of the process of making Scotch, this is all you need, go no further. Perhaps the best section of the book is the author’s insight on tasting whisky. This is what MacLean does best. These are not tasting tips and cute tidbits, but a serious, detailed and scientific explanation on the entire process of tasting from nose to finish. A strong understanding of this art one must know well if he wishes to go anywhere with this hobby. 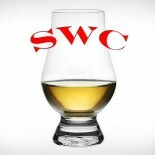 This section is fleshed out by explaining the language of whisky tasting (what does “heavy” or “sharp” or “thin” mean when describing the taste) and the ever important “Whisky Flavor Wheel,” a collection of the many different types of aromas and flavors organized by category. This means nothing to the gent in the bar who orders a “whisky, something, anything,” but for the connoisseur, you better get to know this stuff. Finally, another obligatory section covering distillery profiles and tasting notes concludes the book. The only diversion here is that MacLean chooses to give tasting notes for an entire distillery’s line of whiskies in one review. A house character, if you will. I question the usefulness of these generalized notes, since I am buying a certain bottle of one expression, not the entire line. But I am just a whisky drinker from Spokane, so who cares. A few quick insights involving investing and collecting, whisky societies, websites and publications to name a few are also offered in this section. Helpful, to be sure. This is a book that will be used by only the few whisky drinkers out of many who wish to make a hobby of it. I find it to be less evangelistic or sympathetic to the new drinker who couldn’t give a rip and relevant to those who make the effort to give one. There are books more accessible on this topic, but you will have to pick this one up eventually if you know what’s good for you. He is, after all, Charlie MacLean. Cheers.